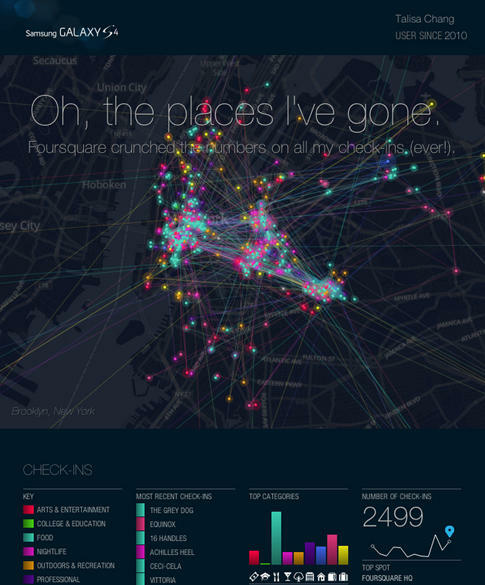 Want to see all of your Foursquare check-ins visualized on a map? Now you can. 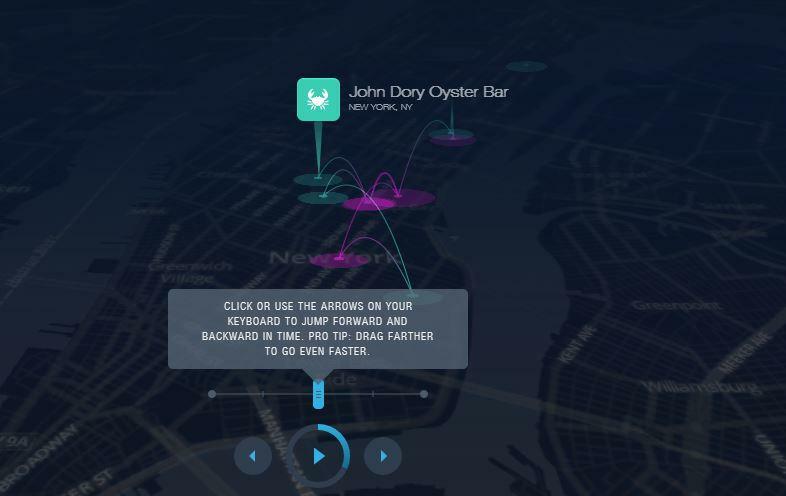 The social network recently teamed up with Samsung to provide an overview video of every check-in you’ve ever registered with Foursquare. The feature is called Time Machine and in just a few minutes you’ll see every point-of-interest you’ve visited highlighted, with information on each check-in, where your went next, which day of the week you check-in on most, top categories, top places and more. There’s even an option to “Share my Stats” that generates a custom infographic for you. Oddly, however, when I ran through my own Foursquare history I was only presented with check-ins in and around the New York City metropolitan area. I didn’t see my check-ins from recent trips to Barcelona, Berlin, Las Vegas or Los Angeles. That feature worked for another member of the TechnoBuffalo staff, however, so the system might not be working entirely properly just yet. Even still, we’re amazed at the technology used here and find the Time Machine data really fun to watch in real time. You can see a few shots of my own check-in history in the gallery above, but head over to the source link to see your own.